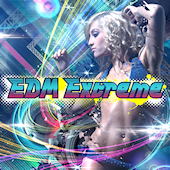 New EDM compilation from Exit Tunes. When I first saw the cover art I thought it would be a spiritual successor to Quake Trance Best, but instead it’ll feature “Japanese EDM” from artists mostly associated with J-Core like Ryu*, kors k, and Redalice. Visit the official website for more info. Exit Tunes are now licensing the beatmania soundtracks. “IIDX 22 PENDUAL” will be under their label. Just curious if you have received my email?